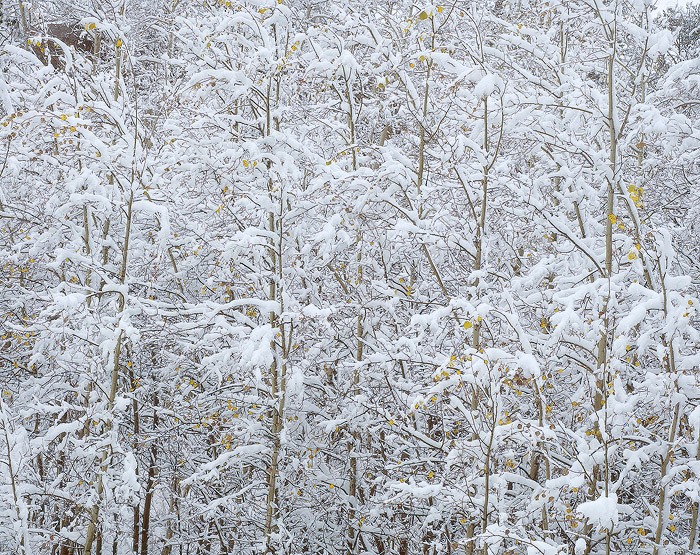 A mid-October snowfall blankets this young aspen stand in Vedauwoo. Field Notes: Ebony 45S camera, Fujinon 240 A lens, Fuji Astia film. Photo © copyright by Brett Deacon.